It’s home to just a half-million people, but Luxembourg is not thinking small when it comes to the future. Earlier today, this tiny European nation announced its intentions to back commercial asteroid-mining ventures, and in so doing, is positioning itself as an international leader in this promising area. Back in November, President Obama signed the US Commercial Space Launch Competitiveness Act (CSLCA), a move that finally made American asteroid mining fully legal. The document established property rights for distant celestial bodies so that resources, like water and rare metals, can eventually be extracted from them. According to the terms of the CSLCA, the asteroid itself can’t be claimed by a country or company, but it can be exploited for valuable minerals. Asteroid mining isn’t a reality yet, but this important piece of legislation is paving the way. 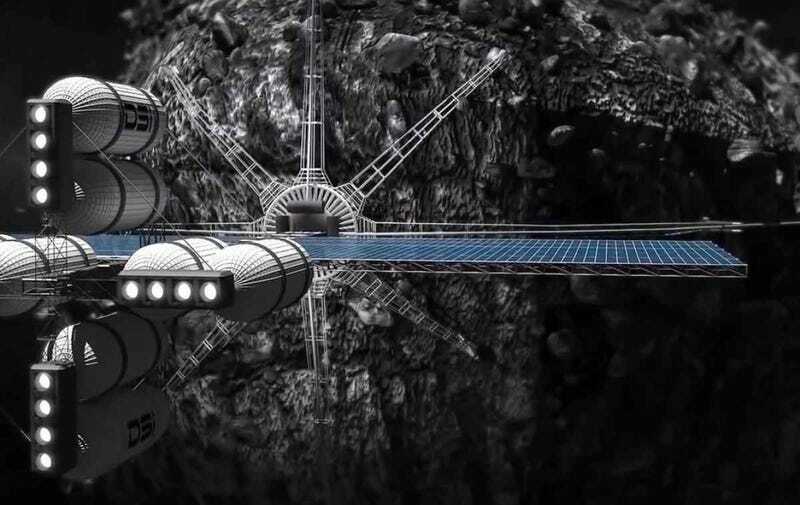 Now, just three months later, the government of Luxembourg has seized the initiative, announcing today that it plans to support R&D in technologies that will make asteroid mining possible, while also investing directly in related companies. The country is currently eyeing a pair of US firms, Deep Space Industries and Planetary Resources (which is partly financed by Larry Page, the CEO of Google parent company Alphabet Inc.). Last year, Planetary Resources sent a spacecraft to the ISS to test technologies that might be used to harvest resources from an asteroid. Over 13,000 near-Earth asteroids have been catalogued by scientists, many of them containing metals that are rare on Earth, including platinum, iridium, and palladium. These objects also contain water, which could be split into hydrogen and oxygen to make rocket fuel. As part of Luxembourg’s newly announced project, Jean-Jacques Dordain, former ESA head, was appointed advisor. He told reporters that space mining is no longer science fiction, and that the basic technologies required to land and return materials from asteroids have essentially already been proven. “Things are moving in the United States and it was high time there was an initiative in Europe, and I am glad the first initiative is coming from Luxembourg,” he said. “It will give no excuse for European investors to go to California.” At the same time, he urged European entrepreneurs to follow the example set by American start-ups. Luxembourg is no stranger to the tech sector. It’s already home to several vibrant satellite operators, including SES. This latest move shows that it’s willing to take some bold steps to safeguard its economic future. Image: Concept art by Deep Space Industries.